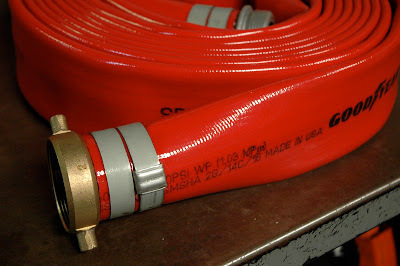 About $50 at Grainger, the Goodyear 2" fire hose is an awfully satisfying purchase. The solid brass connectors inspire great confidence. If there was a Goodyear garden hose of more modest size but similar quality, I would gladly pay $50 for such a robust piece of equipment.